The Chief of the Defence Staff (CDS) is the professional head of the Ghana Armed Forces. He is thus responsible for the administration and the operational control and command of the Ghana military. The CDS is a member of the Armed Forces Council. This council advice the President of Ghana on matters of policy relating to defence and also regulates the administration of the Armed Forces. It also advises the President on the promotion of all officers above the rank of Lieutenant-Colonel or its equivalent. The CDS has also been known as the General Officer Commanding (GOC). Fred Akuffo was born at Akropong in the Eastern Region of Ghana. He completed his secondary education at the Presbyterian Boys' Secondary School in 1955 at Odumase krobo, Ghana. He then enlisted in the Ghana Army in 1957 and trained at the Royal Military Academy, Sandhurst, UK among others, receiving his commission in 1960. He was married to Mrs. Emily Akuffo. He also attended the National Defence College in India in 1973. The Royal Military Academy Sandhurst, commonly known simply as Sandhurst, is one of several military academies of the United Kingdom and is the British Army's initial officer training centre. It is located in the town of Sandhurst, Berkshire, though its ceremonial entrance is in Camberley, southwest of London. The Academy's stated aim is to be "the national centre of excellence for leadership". 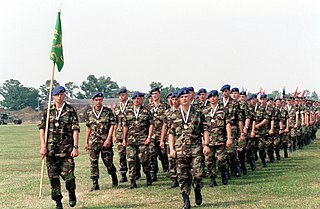 All British Army officers, including late-entry officers who were previously Warrant Officers, as well as other men and women from overseas, are trained at The Academy. Sandhurst is the British Army equivalent of the Britannia Royal Naval College Dartmouth, Royal Air Force College Cranwell, and the Commando Training Centre Royal Marines. Sandhurst is a small town and civil parish in England of 7,966 homes and 20,803 inhabitants, primarily domiciliary in nature with a few light industries. It is in the south eastern corner of the ceremonial Royal County of Berkshire, within the Borough of Bracknell Forest, and is situated 32 miles (51 km) west-southwest of central London, 2.5 miles (4.0 km) north west of Camberley and 5 miles (8.0 km) south of Bracknell. While in the army, he served as Commanding Officer of the Airborne Training School at Tamale and later the 6th Battalion of Infantry of the Ghana army between 1969 and 1970. He rose to become the 2nd Brigade Commander. He supervised the change over of traffic flow in Ghana from driving on the left to driving on the right as part of 'Operation Keep Right' which was effected on 4 August 1974. This change over was successful and largely accident free. He rose to become the Army Commander in April 1974 and the Chief of Defence Staff in April 1976. 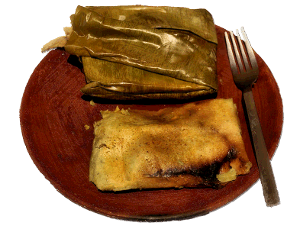 A tamale is a traditional Mesoamerican dish made of masa or dough, which is steamed in a corn husk or banana leaf. The wrapping can either be discarded prior to eating, or be used as a plate, the tamale eaten from within. Tamales can be filled with meats, cheeses, fruits, vegetables, chilies or any preparation according to taste, and both the filling and the cooking liquid may be seasoned. On October 9, 1975, Fred Akuffo was appointed a member of the ruling Supreme Military Council government due to his position as the Ghana army commander. On July 5, 1978, he led a palace coup to overthrow the then Head of state, General Acheampong. He continued with the ongoing preparations to return Ghana to constitutional rule but his government was also cut short on 4 June 1979 by a military uprising by the junior ranks of the Ghana military led by Flight Lieutenant Jerry John Rawlings and the Armed Forces Revolutionary Council. Jerry John Rawlings is a former Ghanaian military leader and politician who ruled the country from 1981 to 2001 and also for a brief period in 1979. He led a military junta until 1992 and then served two terms as the democratically elected President of Ghana. Faustina Acheampong was the First Lady of the Republic of Ghana from 1972 to 1978. She was the spouse of General Ignatius Kutu Acheampong, Chairman of the National Redemption Council and Supreme Military Council and Head of state of Ghana from 1972 to 1978. 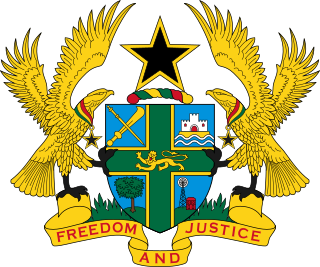 A referendum on the system of government was held in Ghana on 30 March 1978. Lieutenant General Lawrence Aboagye Okai is a former Chief of the Defence Staff of the Ghana Armed Forces. He is also a former member of the Supreme Military Council (SMC) government led by General Acheampong. Lieutenant General Arnold Quainoo is a Ghanaian former military officer and served as the Chief of Defence Staff of the Ghana Armed Forces from August 1983 to September 1989. He took over from Flight Lieutenant J. J. Rawlings and handed over to Lieutenant General Winston Mensa-Wood. He was also the first commander of the Economic Community of West African States Monitoring Group (ECOMOG) which intervened in Liberia to help end the civil war. He also served twice as Army Commander, first in 1979 following the coup-d'état by the Armed Forces Revolutionary Council which overthrew the Supreme Military Council. He was replaced when the Limann government was elected. He was however re-appointed as Chief of Army Staff following the coup by the Provisional National Defence Council and later as General Officer Commanding the Ghana Armed Forces. Edward Kwaku Utuka, who held the rank of major general of the Ghana Armed Forces, was a former border guards commander and member of the Supreme Military Council I & II, the ruling government of Ghana from 9 October 1975 to 4 June 1979. He was an alumnus of the Accra Academy. ↑ "Brief Profile: Frederick William Kwasi Akuffo". Justice Ghana. Retrieved 28 January 2014.